Associate Professor Philippa Middleton holds an NHMRC fellowship and is an affiliate with the Robinson Research Institute at the University of Adelaide. Philippa is a perinatal epidemiologist and implementation scientist with particular research interests in preterm birth, nutrition, stillbirth and diabetes in pregnancy. Her ‘tools of trade’ are randomised controlled trials, systematic reviews, research synthesis (quantitative and qualitative), guidelines, research reporting standards and translating research evidence into policy and practice. Since 2005, she has held continuous national and international research funding in perinatal health and in research methodologies, totalling >$9M in the last 5 years. In addition to her NHMRC Fellowship, she is or has been a CI on seven NHMRC project grants, as well as attracting funding from other local and international bodies. 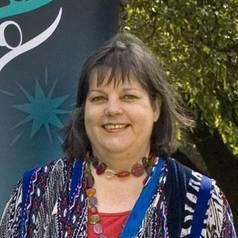 Philippa is involved in several Aboriginal health partnerships and works with the Cochrane Collaboration in multiple roles, including being an editor with Cochrane Pregnancy and Childbirth Group and leading their Australian and New Zealand satellite. She is also a member of the Perinatal Society of Australia and New Zealand’s policy, stillbirth and IMPACT committees, the NHMRC Synthesis and Translation of Research Evidence Committee and the Expert Advisory Committee for NHMRC’s antenatal care guidelines. She has published widely and has over 250 publications, with >15,000 Google Scholar citations. These include three Lancet papers on preventing stillbirth.